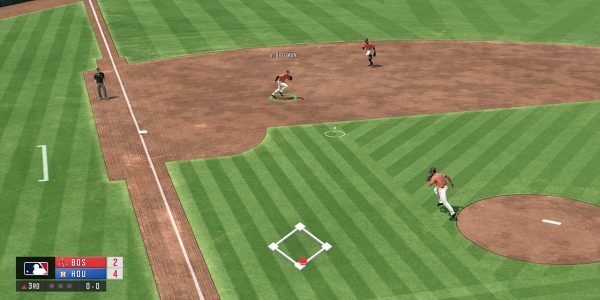 The latest RBI Baseball 19 roster update has been released. It includes two youngsters who are starting to make a name for themselves in the big leagues very quickly – and fans in Minnesota and Cincinnati are hoping they continue to surge forward. First up is Minnesota’s Jorge Polanco. Polanco hit the cycle last week and is currently hitting a solid .372 on the season. While many believe this season that the AL Central once again belongs to the Cleveland Indians, the Twins have shown early season success. Polanco is one of the reasons why. Along with the Twins, the Detroit Tigers have started off strong also. Especially for a team that many experts predicted would be lucky to win 60-65 games in 2019. Detroit’s Matthew Boyd continues to mow down his opponents and the Tigers bullpen has been lights out through the first two weeks of action. The RBI Baseball 19 update has once again given significant boosts to this past week’s top performers and changed the lineups to best reflect the players being put on the field each day by MLB clubs. The Reds need Luis Castillo to dominate if they want to contend in 2019. So far he has. RBI 19 indicated that Castillo’s change-up currently has an elite 32% swinging strike rate, with a whopping 60% K rate. That’s why they boosted Castillo’s Curve (+3) and Drop (+8) ratings. Castillo’s numbers are very video game like so far in 2019. With a WHIP of 0.66 and an ERA of 0.92, he is getting noticed by fans and gamers everywhere. Other players that have jumped in the ratings include Yasmani Grandal, Cody Bellinger, Daniel Vogelbach and Paul DeJong. Below is a complete list of the latest movers and shakers in the RBI Baseball 19 roster update, including the latest list of new additions as well.